While Jorge Lorenzo might have come close to taking his first Ducati win on Sunday at Motorland Argon and Andrea Dovizioso might still sit second in the championship race, both riders are circumspect about the issues that they still face with the GP17 machine, especially when it comes to mid-corner turning, long the bugbear of the Italian manufacturer. 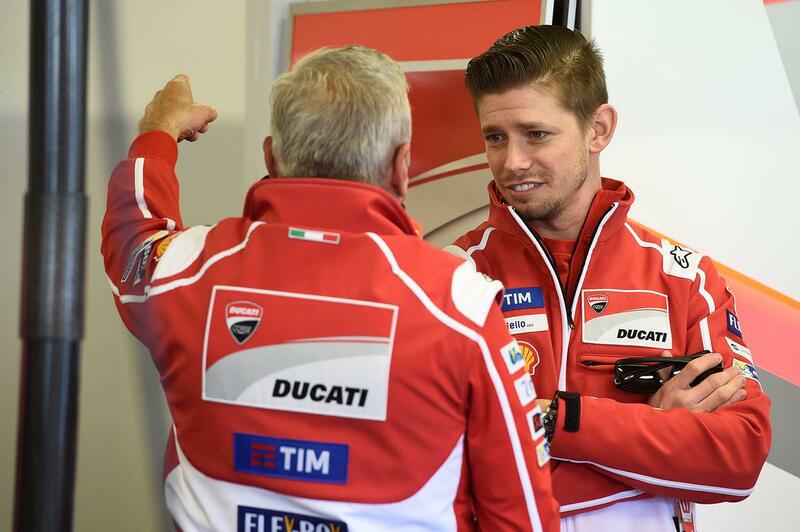 But Ducati boss and former WSB race winner Davide Tardozzi believes that they’re edging closer than ever to putting those issues to bed once and for all – thanks in part to the assistance of Ducati test rider and former world champion Casey Stoner. Stoner took to the track last week at Valencia for a final test on the GP18 machine that will debut at the post-race test at the Spanish circuit in November – and Tardozzi says his feedback so far has been more than positive. “Casey was very clear in what is the way to follow, and now it is up to Gigi and the engineers to manage the information that he has given us. He supports all his ideas and suggestions with fact, and he was as impressive as usual.